Much of the current support offered to learning support pupils is focussed on academic achievement, but good emotional health and wellbeing is vital for students to be raised to their version of success, says Kerry, mum to Felix, 9. “Felix wants to be at school, but struggles to be there as well. The classroom is noisy, he feels overstimulated, or he experiences anxiety and runs away. This is obviously disruptive for the class, and dangerous for Felix. We’ve had Intensive Wraparound Service funding for a year, and it was hard won. We had a bumpy start but once early issues were ironed out, we’ve seen a huge improvement in Felix’s ability to engage in school, and the joy he feels at being there. The main points for Felix to work on are emotional regulation and social skills. Monday and Tuesday he is supported full time by a teacher aide. Wednesday and Thursday he is supported until 1pm and then leaves school. Fridays, he works alongside a specialist teacher. We’ve also got support from an occupational therapist and we are applying the techniques at home. It’s been fantastic. Felix is starting to understand his emotional responses. If he does feel the need to run, he can identify and acknowledge why. And he is learning strategies to deal with his emotions too, both at home and at school. 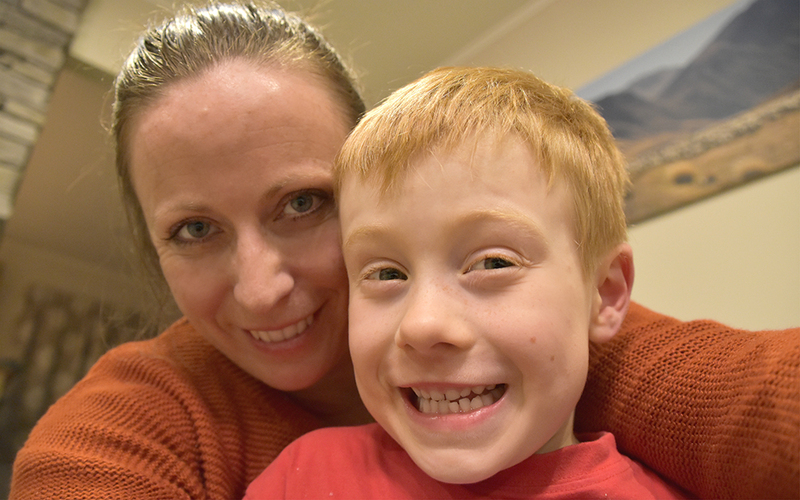 We were introduced to the Zones of Regulation Programme – it’s not only helped Felix with understanding his emotions, but our neurotypical child too. Every child needs to learn this in my opinion. The ultimate goal is for Felix to be able to self-regulate at school full time. When the funding ends this year there will be limited support for him. If every classroom had a fully trained teacher aide to support the work of the teacher, Felix may not need specialised help. At the moment our system is the ambulance at the bottom of the cliff. We know there is a problem, the current system isn’t supporting our neuro-diverse kids, but services aren’t put in place until it’s almost too late.